Characteristics: Small, six legs, possesses a head, thorax and abdomen with wings running about the full length, possesses a long proboscis for a mouth. Behavior: Begins life aquatic, transitions to flight, partially parasitic. Preferred Habitat: Almost any environment as long as it is not too cold and there is water present. Especially prefers tall grasses, marshes, forests, weeds and wet ground. Range: Across the world, especially in tropical and temperate climates. Diet: Nectar and plant sugars, females ingest blood only to feed their eggs. Lifespan: 2 weeks to 6 months. They are known the world over by their high-pitched buzzing, their love for wet places, and most of all for biting people to drink blood, leaving behind an itchy bump. These creatures are of course the infamous mosquitoes! Unfortunately, their thirst for blood has given them a bad name. Mosquitoes are just trying to survive like any other animal, and they can be found on almost every corner of the planet, favoring tropical or temperate climates. They particularly live in forests, wetlands, tall grass and places where the ground is very wet. It may be hard to believe, but mosquitoes actually play a vital role in nature. There are over 3,000 different species of mosquito. Many of them do not have common names and are only known by their scientific names. Some species live only a few weeks, others as long as six months. 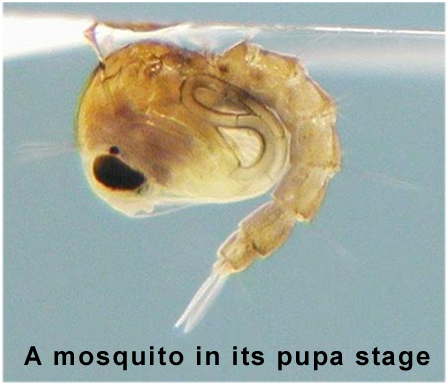 Mosquitoes hatch from eggs in shallow water. They begin life as worm-like larvae and eat organic matter. After about a week they develop into their pupae stage. During this stage they become comma-shaped and they do not eat. After a few days they metamorphose into their adult form, where they grow wings and legs and take to the skies to find food and to reproduce. An adult mosquito can beat its wings 300-600 times per second! Male and female mosquitoes find each other by listening to each other's wingbeats. They will match their speed to make the same sound. After mating, females will lay their eggs in very shallow water. Mosquitoes need very little water to lay eggs; sometimes only a few inches of water is all it takes! There are many misconceptions about mosquitoes. You may be surprised to learn that blood is not the mosquito's primary food source! Mosquitoes usually drink plant nectar. Only female mosquitoes drink blood, and they only do this when they are pregnant so they can provide protein for their eggs. Male mosquitoes never drink blood; they do not even have the right mouthparts to do so. Technically mosquitoes do not even "bite" as they do not have teeth! Instead they insert their long tube-like mouth called a proboscis. 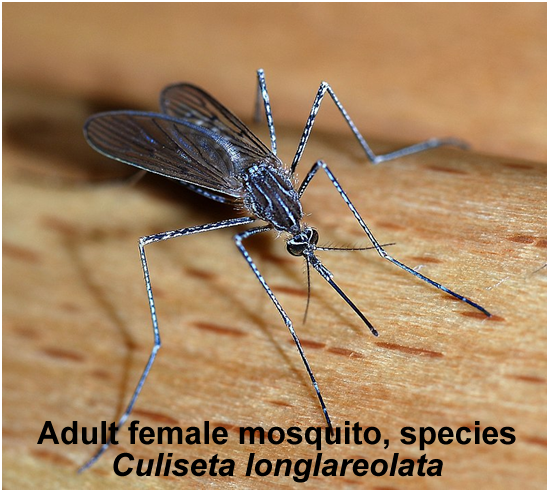 Female mosquitoes are attracted to their prey's temperature and carbon dioxide. After landing, the mosquito will drink blood and inject their victim with enzymes at the same time. This is why you don't realize a mosquito has bitten you until you find a bite! It is the mosquito's saliva that leaves the "bite mark" as an itchy bump; this is an allergic reaction that almost all humans experience when a mosquito bites. Mosquitoes have a bad reputation, and it's not hard to see why. They bite people to drink blood, and their bites leave itchy sores that last for days or weeks. The biggest reason mosquitoes are disliked is because they can carry diseases, such as malaria and zika. Unfortunately, around 750,000 people die each year from diseases that mosquitoes spread. As a result, some people have called for all mosquitoes to be exterminated. But despite these facts, mosquitoes are incredibly important animals. Thousands of animal species, including other insects, spiders, fish, bats, birds and many others, all depend on mosquitoes for food! Many species of mosquitoes also act as pollinators for plants like bees. Without mosquitoes, these plants might not be able to reproduce, and that would affect how other animals live. To wipe out all mosquitoes would disrupt entire ecosystems. This would be unethical as so many other species depend on them. It's also important to note that not all mosquitoes carry diseases, and of the thousands of mosquito species only about 200 bite humans. And, science has even benefitted from the mosquito; the proboscis has inspired scientists to develop better syringes for delivering medicine! 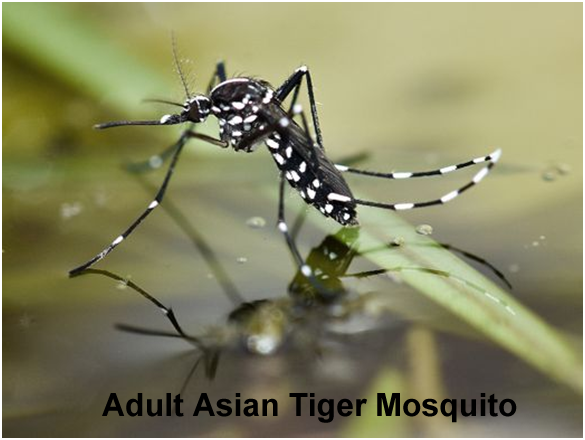 Many species of mosquito are labeled as least concern, though many are not evaluated. Mosquitoes as a whole are not in danger of dying out; in fact climate change may create more habitats for them! But, they are still persecuted for being pests and spreading diseases. There are ways to keep mosquitoes from biting you without hurting them in the process. Research is also being done to cure or prevent the diseases that mosquitoes carry. If we can learn to live alongside mosquitoes, we can save millions of people and help to keep many of our ecosystems healthy all at once. To learn more about mosquitoes and how to repel them without hurting them, check out these awesome websites! 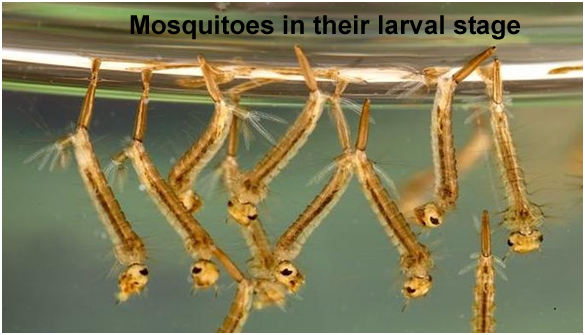 ThoughtCo., "16 Fascinating Facts About Mosquitoes"-A list of facts to help you get to know these remarkable creatures. Garden Design, "7 Mosquito Repellent Plants"-Consider growing these plants in your garden to naturally keep mosquitoes away!